Ross Company is your commercial refrigeration specialist. 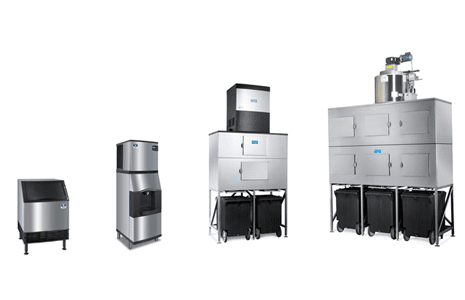 Ice Machines play a major role in the food service industry, but often go over looked and not properly maintained. Our experienced technicians are trained regularly by all major brands factory training seminars. Technology is always changing but here at Ross Company we stay ahead of the technological advances in our industry. Regularly servicing and maintaining your ice machines ensure it is running as efficient as possible, up holds a high level of sanitation, cleanliness and prevent costly break downs.